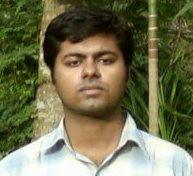 This post is primarily to introduce myself to the world.I am a twenty five year old man blogging from a remote village in Kerala named Nooranad in Alappuzha District.I am an electronics engineer working online designing websites for different people.I shall give you a pic so that if you happen to see me in the street some where, you will recognize me.Then you can walkin to me and say a hi. I have been running a career information website for indians for a while.I blog there too.The site is Career Drive India.You can access it at http://careerdrive.in . I was always averse to posting photos on the internet.I was afraid that some one will take this and make a comical work on photoshop and post it at different websites.Any way i have fought out all those thoughts.This photo is an old one.It was shot on 16th June 2008.Will try to load a new photo.But you know, basically i am a lazy guy.So my promise will take some time.